Four variants of the test for quick checking the use of the prepositions. Key is included. Thank you!!!! This downloadable worksheet is a great resource for elementary school students and adults at Elementary (A1), Pre-intermediate (A2), Intermediate (B1) and Upper-intermediate (B2) level. 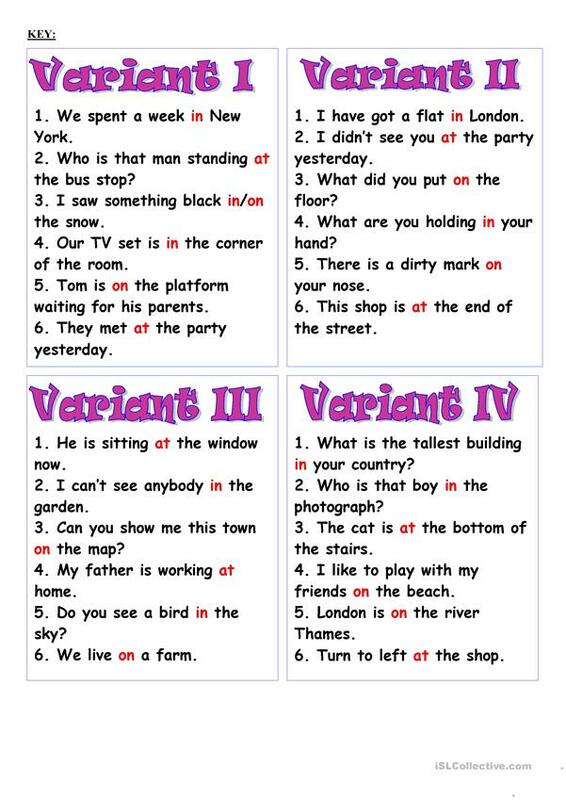 It is great for practising Prepositions in English, and was designed for developing your class' Reading and Writing skills. It includes the answers, too.